Contact Alex Whitson for event details. 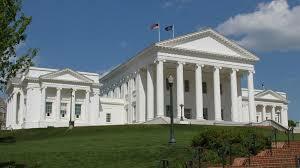 Mark your calendars and register today for NVBIA's regional legislative update breakfast with discussion on the recently concluded General Assembly session in Richmond. Our speakers will be Andrew Clark, Vice President of Government Affairs for the Home Builders Association of Virginia, and Andrew Painter, chairman of NVBIA's Legislative Committee and a shareholder with Walsh, Colucci, Lubeley & Walsh. Following the update, there will be the opportunity for a question and answer session.